Ukrainians proved friendlier than Russians, Israelis, French and many other nations. 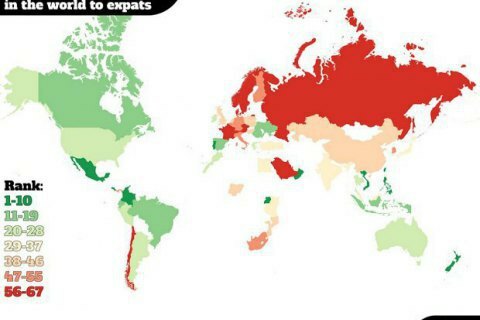 In the ranking of 67 countries titled the Ease of Settling In, Ukraine took the 19th place on the Feeling Welcome and 5th place in the Finding Friends categories. This is evidenced from Expat Insider Index 2016, compiled by InterNations based on a survey of more than 14 thousand people, representing 174 nationalities and 191 country or territories, living and working abroad. In general, Ukraine took the 34th place on the index of perception of representatives 191st country. For comparison, Russia ranked 47th. Taiwan, Uganda and Costa Rica have been recognized as the most friendly countries while the Czech Republic, Saudi Arabia and Kuwait are perceived as the least friendly.